Directions for Use: Infants: Consult your healthcare practitioner. Children (1+ year old) and adults: 1-2 drops daily with food, or as directed by a healthcare practitioner. Free from wheat, nuts, peanuts, starch, sugar, dairy, corn, eggs, fish, shellfish, yeast, GMO, artificial colours, flavours and preservatives. 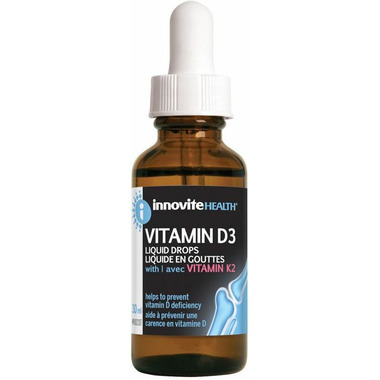 just started using this brand of Vitamin D, I like the purity and quality and the fact that it has K2 in it as well. Aging well is my mandate and this product seems to be inline with my values and desire.